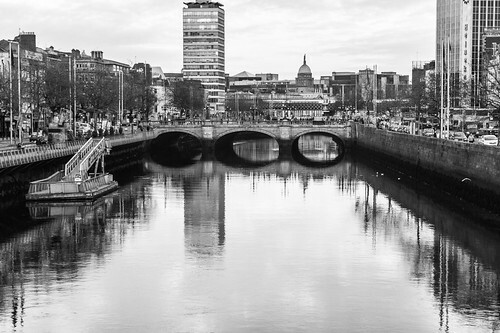 View Of O’Connell Street Bridge, a photo by infomatique on Flickr. O’Connell Street Bridge as seen from footbridge upstream. Processed using Adobe Lightroom (Beta 1).